ATLANTIC OCEAN (April 12, 2019) The Nimitz-class aircraft carrier USS Abraham Lincoln (CVN-72) conducts an air power demonstration rehearsal. Abraham Lincoln is underway as part of the Abraham Lincoln Carrier Strike Group (CSG) deployment in support of maritime security cooperation efforts in the U.S. 5th, 6th, and 7th fleet areas of operation. With Abraham Lincoln as the flagship, deployed strike group assets include staffs, ships and aircraft of Carrier Strike Group 12 (CSG 12), Destroyer Squadron 2 (DESRON 2), USS Leyte Gulf (CG 55) and Carrier Air Wing 7 (CVW 7); as well as Alvaro de Bazan-class Frigate ESPS Mendez Nunez (F 104). 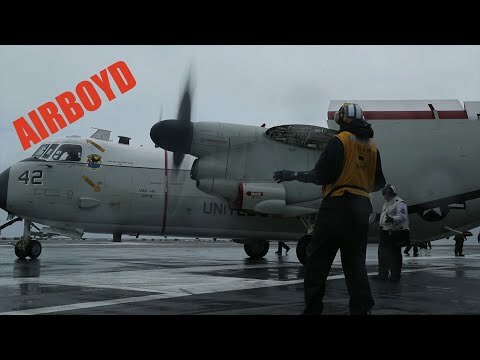 C-2A Greyhound aircraft from the “Rawhindes” of Fleet Logistics Support Squadron (VRC) 40 conduct their first flight operations from aboard USS Abraham Lincoln (CVN 72) in sixth fleet.